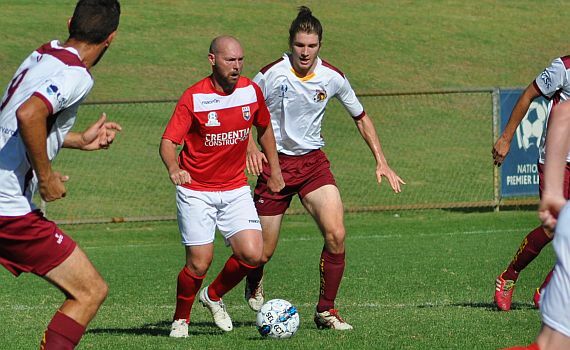 A Credentia Construction Man of the Match performance from player/coach Steven McGarry was vital as the Jacks moved into the West Australian Top Four Cup Preliminary Final. The win was more impressive without leading scorer Gordon Smith, but McGarry said Paddy Doyle came in and put in a good shift, and the players off the bench did likewise. “You’re always going to miss someone like Gordon, who has been outstanding for us this season, but I thought Paddy was excellent,” he said. “We have spoken to him throughout the season about his decision making on the ball, especially in the final third, and how that would lift his game about 20-30%.